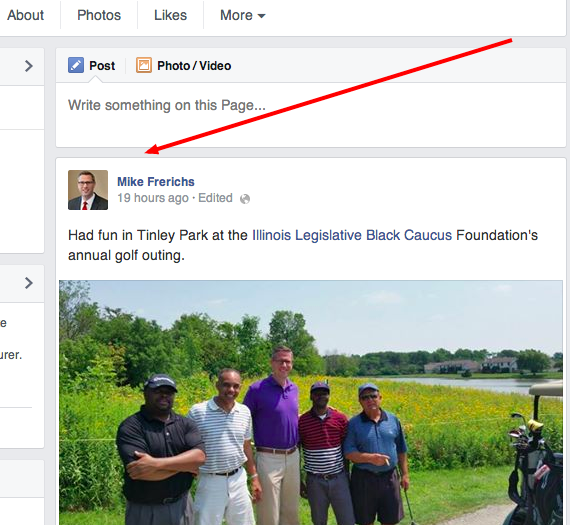 It isn't just on Twitter that the Mike Frerichs for Illinois Treasurer Campaign are deleting posts/photos. They're also, apparently, totally gunshy on their Facebook wall, too. It looks, to us at least, that they've fixed their errors, so we're not quite sure why they took this one down. Guessing that there's a CODE RED down in Champaign after the morning they've had an the folks in charge are likely scrambling and said "Take down EVERYTHING". 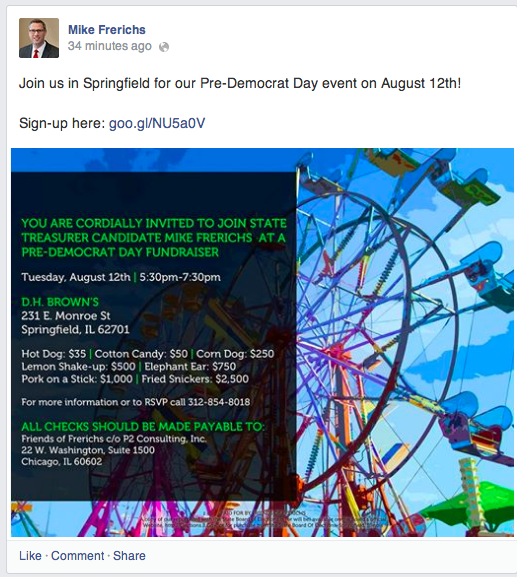 We had a Tipster send us a gif of Mike Frerichs walking around town this morning after reading all of this. He looks to be in bad shape.